Soft spoken and full of smiles, Mrs. Purpura loves teaching at Happy Hands. Prior to joining our staff, she taught art and gym at Kingswood Academy for three years, was a Teacher’s Aide at another local preschool for two years, and has been very involved in the community. She’s been a Girl Scout leader for 30+ years, an AYSO soccer coach for 10+ years, and a Boy Scout parent for 10 years. 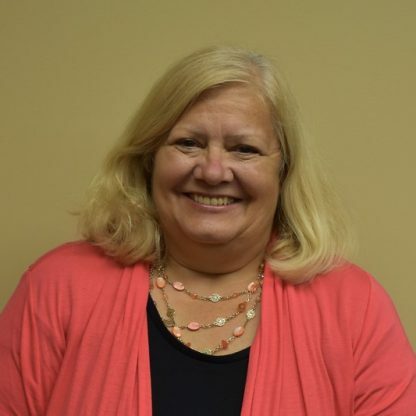 A Lemont resident since 1986, Mrs. Purpura has an associates degree with a concentration in K-4 Elementary Education. Mrs. Purpura and her husband have 4 children and 6 grandchildren. She keeps busy following her children and grandchildren at all of their events and in her spare time, she likes to sew, craft, and do DIY-projects. She even built a solar home with her husband!